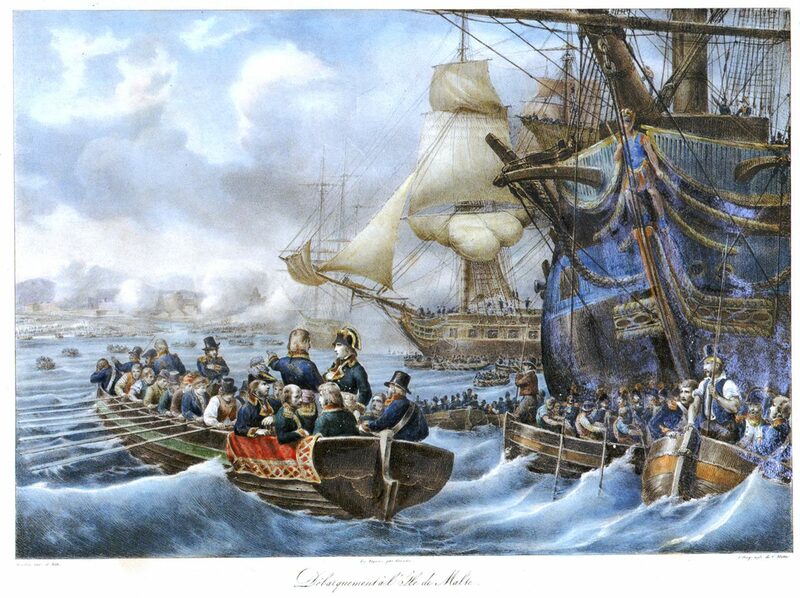 An artistic impression of General Bonaparte’s invasion of Malta in 1798. 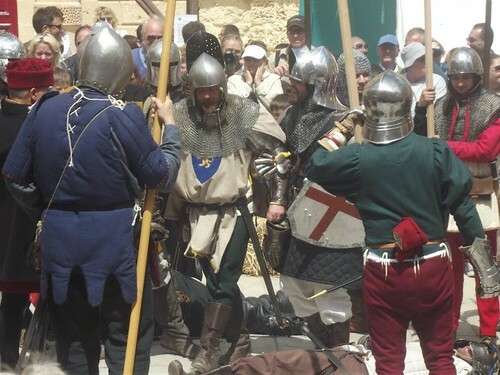 The 220th anniversary of the French arrival in Malta is being marked with by series of cultural and spectacular events being organised by HRGM and Reġjun Tramuntana as part of the first edition of Regun Tramuntana Military Festival which also includes massive historical re-enactments with around 500 re-enactors being held in the same region on 5, 6, & 8 June. The events include a series of very interesting lectures relating to the period of the French Blockade (1798-1800). The five lectures are being held at the respective locality’s Local Council premises. by Mr Neville Ebejer, at Mtarfa LC on 23rd May at 7.00pm. by Mr Stephen Degiorgio, at Mellieha LC on 28th May at 7.00pm. by Mr Liam Gauci, at Rabat LC on 29th May at 7.00pm. by Prof William Zammit, at Naxxar LC on 30th May at 7.30pm. The lecture’s Facebook Event Page is here.